Fifty years ago, an artist named Jean Tinguely made his own version of “Mission: Impossible”: a work of art set to self-destruct. Titled “Homage to New York,” it was cobbled together from bicycle wheels, bottles, old bathtubs and other debris — and a crowd in MoMA’s garden watched it catch fire and disappear. Starting tomorrow, there’ll be an homage to “Homage,” featuring such works as a pyramid of soap under dripping water and a roomful of smashable guitars. “The New York art scene is all about stuff you can buy and sell,” says curator Jean Barberis of “The Self-Destructing Art Show” at Long Island City’s Flux Factory. 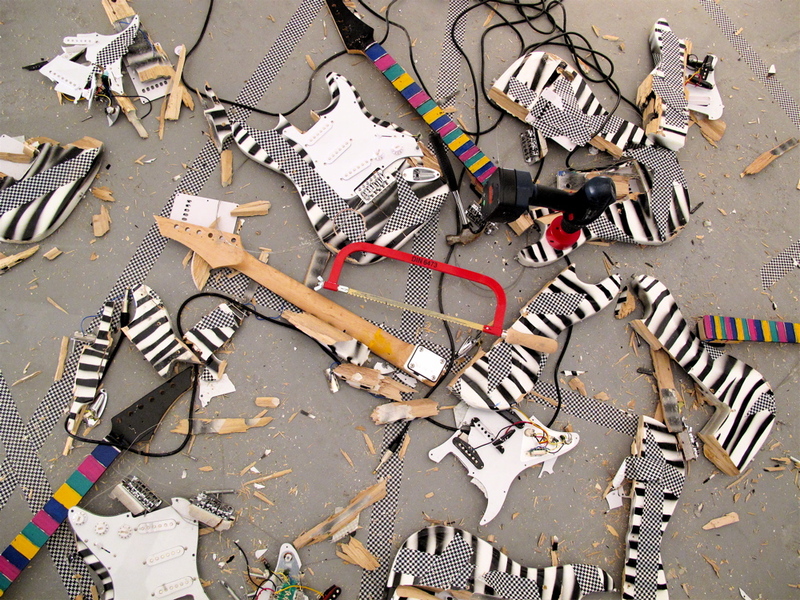 “A piece that destroys itself is really radical — it speaks against art as a commodity. Everything we build is going to be destroyed anyway, so why not embrace it?” The free show opens tomorrow at 11 a.m. and runs weekends till Nov. 23 at Flux, 39-31 29th St., Long Island City; fluxfactory.org.